Andante de la Sonata No. 9, Op. 47 "Kreutzer"
Finnish guitarist Timo Korhonen is one of the most versatile proponents of his instrument in the world. 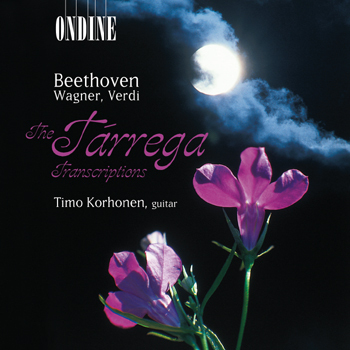 On this recording, he performs his selection of famous pieces by Beethoven, Wagner and Verdi in arrangements by the "father of modern guitar" Francisco de Asís Tárrega y Eixea (1852-1909). These transcriptions do not aim to reproduce the original works literally, but to shape the compositions of great composers into guitar works in their own right. Timo Korhonen also contributed with liner notes to this recording.